to preserve salmon and steelhead. In his ruling, he urged renewed consideration of Lower Snake River dam removal. 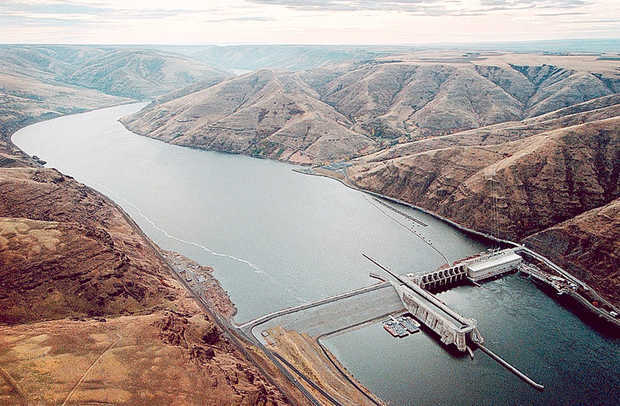 A federal judge has called for a new approach to Columbia and Snake River dam operations to preserve salmon and steelhead, with all options on the table for consideration, including dam removal on the Lower Snake River. U.S. District Court Judge Michael Simon in Oregon on Wednesday invalidated the U.S. government's 2014 Columbia Basin biological opinion, under which federal agencies operate the Columbia River hydropower system. It's the fifth time a biological opinion written by the agencies permitting operation of the dams has been struck down by the courts. In his sweeping, 149-page ruling, Simon sounded about out of patience, quoting rulings over two decades by his predecessors denouncing a system that "cries out for a major overhaul," and urging consideration of breaching one or more of the four dams on the Lower Snake River. "For more than 20 years, however, the federal agencies have ignored the admonishments and continued to focus essentially on the same approach," Simon wrote. " . . . these efforts have already cost billions of dollars, yet they are failing. Many populations of the listed species continue to be in a perilous state." The judge found federal policy is not "trending toward recovery," and has generated "very little actual improvement in fish abundance." Snake River sockeye were the first fish to be listed for protection in the Columbia and Snake rivers under the Endangered Species Act in 1991; today 13 runs are listed. The judge also noted the "potentially catastrophic impact" of climate change on Columbia Basin salmon and steelhead populations, which he stated agencies had not adequately addressed. He sent the agencies back to the drawing board for a new biological opinion and full NEPA analysis that complies with the law no later than March 1, 2018. That analysis "may well require consideration of breaching, bypassing, or removing one or more of the four Lower Snake River dams," to be compliant with the law this time, Simon wrote. Salmon and steelhead advocates celebrated the ruling, which they said will require the reset on the river they have been looking for, with a full public process to engage and reopen regional debate on the Columbia and Snake rivers and their future. "It's a very strong ruling and this is strike five for these federal agencies; how many times do they need to be told they need to change direction?" said Todd True, attorney for Earthjustice based in Seattle, one of the attorneys representing plaintiffs in the case, which include the Nez Perce Tribe, the state of Oregon, and fishing and conservation groups. "This is a significant ruling and it is going to force some difficult decisions and some transparency on the part of the agencies as to what their programs have cost and what they have delivered, and where they are heading," said Joseph Bogaard, executive director of the Save Our Wild Salmon Coalition. "This is a restart in a very significant way." Federal agencies released a written statement declaring "disappointment" that the judge didn't agree with their approach, and pledging to continue to work for salmon recovery. The Nez Perce Tribe -- the only tribe in the region that did not sign an accord requiring support for federal management of the dams in return for habitat and hatchery program funding -- celebrated the ruling. "The tribe is a strong advocate for breaching the Lower Snake River dams," wrote Anthony D. Johnson, chairman of the Nez Perce Tribal Executive Committee. "We will continue to speak on behalf of those who cannot speak for themselves, like the salmon and the lamprey."